Brilliant Colorless Diamond, Classic 4-prong setting & A Proposal of Love. Nothing says, I Love You like a colorless diamond solitaire by Suranas Jewelove, Jaipur. 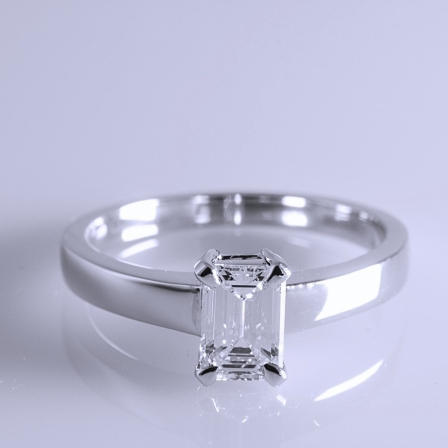 GIA certified E color, VVS1 clarity, emerald cut diamond studded in white gold. Available at Colorless Diamond Solitaire Engagement ring by Suranas Jewelove.